← Was Augustine A Gnostic Heretic? Did He Corrupt The Church With Gnostic Doctrine? Did The Early Church Agree With Pelagius? 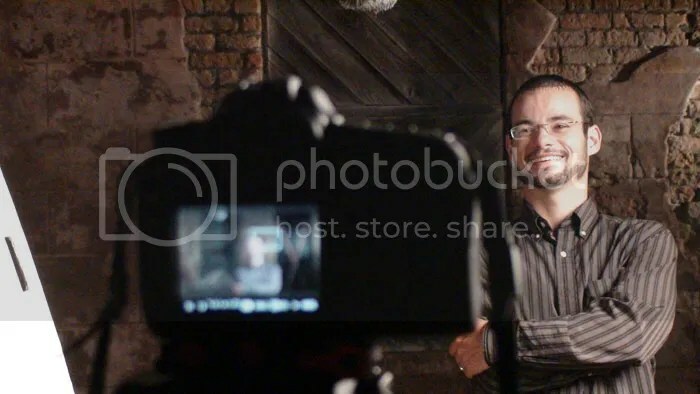 Beyond Augustine is a church history and theological documentary by Jesse Morrell that examines the free will debate in light of the Early Church and the Gnostics. Did Augustine corrupt the church with Manichean or Gnostic doctrine? Is Calvinism or Reformed Theology really orthodox and historic Christianity, as Calvinists claim? Or are the Calvinists and Augustinians the spiritual descendants of the Gnostics and Manicheans? Were the Pelagians really the heretics in their free will debate with Augustine? These are the type of controversial questions Jesse Morrell examines in this documentary. Calvinists also like to point out that, “Pelagianism has been condemned as heresy by councils all throughout Church history.” I always find it amazing when the so called “Reformed” and “Sola Scriptura” crowd will point to Catholic councils about Pelagius. They are not very reformed if they appeal to Rome, and they are not sola scriptura if they appeal to councils. There were three councils that condemned Pelagianism; the Council of Ephesus in the year 431; the Council of Carthage in the year 418; and the Council of Orange in the year 529. This is because Pelagius was not invited nor present to defend himself but his opponents and adversaries stated his doctrine for him. When Pelagius was able to defend himself, the Council of Diospolis in 415 declared Pelagius orthodox. And Pope Zosimus also declared Pelagius’ orthodoxy in 417. He was always acquitted when present to clarify and defend his views. If these are our authorities to determine orthodoxy, do we accept the ones in favor of Pelagius or the ones against him? In addition, the Council of Orange and the Council of Carthage were not ecumenical councils. They did not consist of Bishops from the entire church, which mean that the rulings of the Councils were not universally affirmed by the Eastern and Western churches. If heresy is heresy because a council says so, or because of majority vote, Calvinism must be more heretical than Pelagianism was because there were more councils that condemned Calvinism than condemned Pelagianism. The Calvinist doctrines of predestination, limited atonement, and irresistible grace were condemned throughout history. Lucidus was condemned by the Council of Oral in 473, Council of Arles in 475, and Council of Orange in 529. And Gottschalk (Gotteschalcus) was condemned by the Council at Mentz in 848 and the Council of Chiersey (Quiercy) in 849. And what do Calvinists think of the Council of Constance in 1414 for John Huss, or the Council of Worms in 1521 for Martin Luther, or the Council of Trent in 1561 for the Protestants? Are these Councils not the voice of Orthodoxy as Ephesus and Carthage supposedly were? In fact, the Council of Orange that condemned Pelagianism also condemned the doctrines of Calvinism. Specifically, the doctrine of limited atonement and double predestination was condemned by the Council of Orange. If the council is authoritative in the former case, it must be equally authoritative in the latter as well. But if it was mistaken in the latter case, maybe it was mistaken in the former as well. On the other hand, the Synod of Philadelphia declared Albert Barnes as orthodox in 1829, after he presented his case for rejecting limited atonement, natural inability, and the imputation of Adam’s sin and guilt to all his posterity. And Lyman Beecher was accused of heresy for his new school theology in 1835 but was acquitted by the Synod of Cincinatti. Though “New England Theology” or “New School Theology” was accused of being “Pelagian” by “Old School Calvinists,” it was nevertheless declared orthodox by Christian Synods. And just so that nobody feels left out, the Synod of Dort condemned the doctrines of Arminianism in 1618-1619. Certainly the Arminian camp should not, therefore, give credibility to councils which determine orthodoxy by popular vote. But to determine if Pelagius really was a heretic, we should go to his actual words to see what he taught. It is a common error for Calvinists to quote from Pelagius’ opponents and accusers to express what Pelagius taught, rather than to quote from Pelagius himself. Certainly, Calvinists would not like it if people quoted from the opponents of Reformed Theology to state what Calvinism teaches. We should give Pelagius the same honesty and fairness that we would want our doctrine to be treated with. 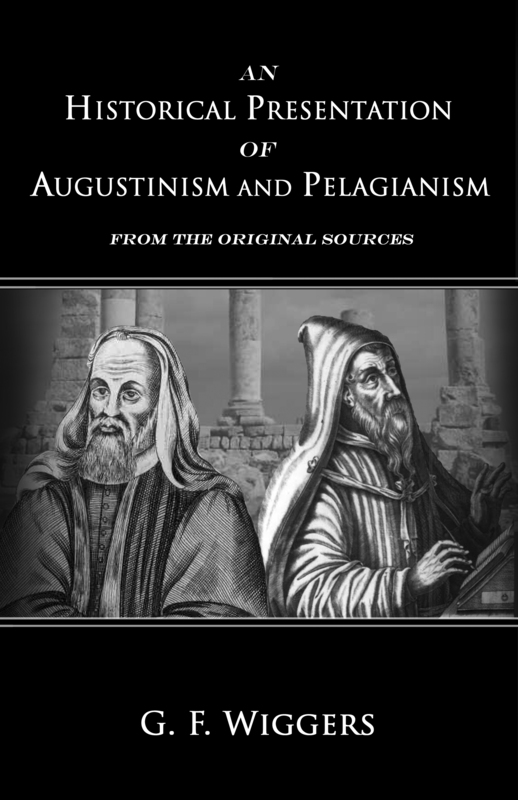 An Historical Presentation of Augustinism and Pelagianism From The Original Sources by G. F. Wiggers is a classic and impartial work on the Augustine/Pelagius debate. By appealing to the original sources that are available, Dr. Wiggers compares and contrasts these two opposing theologies, defining and explaining the various doctrines within each system of thought. On the other side of the debate, was it Augustine that was really the heretic? When he converted to the church from Manicheanism, did he bring with him gnostic heresies? Does Augustinian theology contradict orthodox doctrine and the Early Church Fathers? 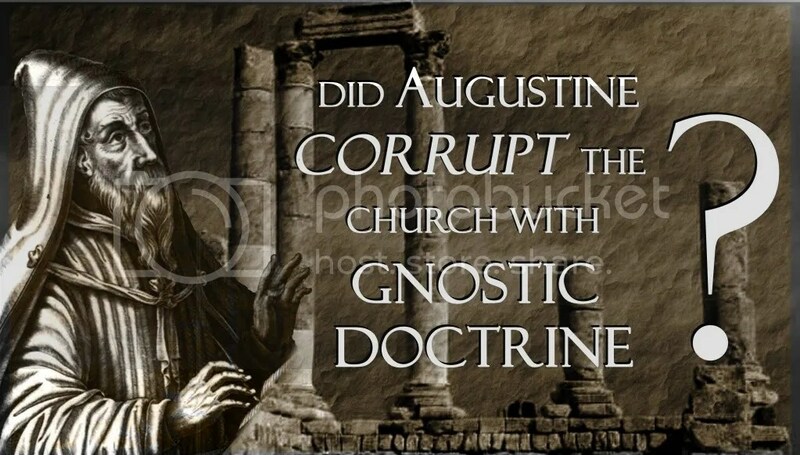 “Did Augustine Corrupt the Church with Gnostic Doctrine” is an excerpt from the book, “The Natural Ability of Man: A Study on Free Will & Human Nature” by Jesse Morrell. 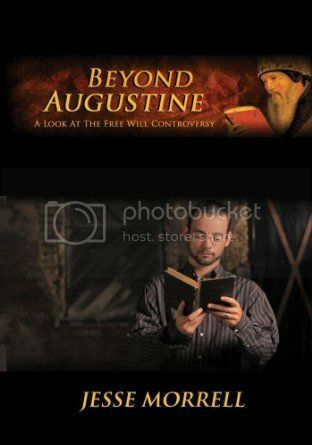 Beyond Augustine is a church history and theological documentary that examines the free will debate in light of the Early Church and the Gnostics. Did Augustine corrupt the church with Manichean or Gnostic doctrine? Is Calvinism or Reformed Theology really orthodox and historic Christianity, as Calvinists claim? Or are the Calvinists and Augustinians the spiritual descendants of the Gnostics and Manicheans? These are the type of controversial questions Jesse Morrell examines in this documentary. 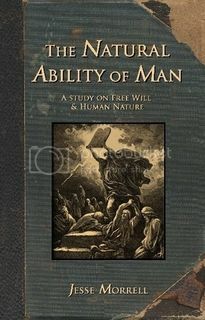 The Natural Ability of Man: A Study On Free Will & Human Nature by Jesse Morrell is an exhaustive theological volume that defends the Christian doctrine of man’s free will against the false Gnostic/Calvinist doctrine of man’s natural inability. 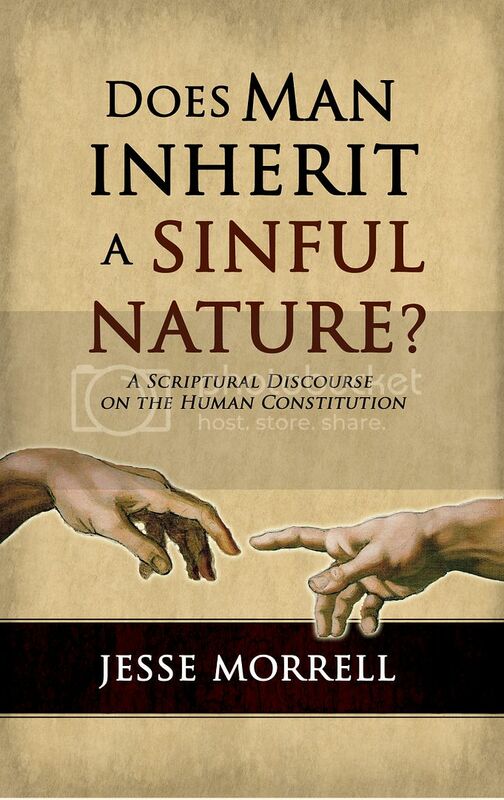 Does Man Inherit A Sinful Nature by Jesse Morrell is a thorough examination and refutation to one of the oldest theological excuses for sin – a sinful nature. With an abundance of scripture, keen logic, and an appeal to Christian teachers throughout history, this book not only shows that men are not born with a sinful nature but that sin is actually contrary to the nature God gave us. This entry was posted in Uncategorized and tagged Albert Barnes, and Council of Orange, Arminianism, Arminians and the Synod of Dort, Augustine, Augustinianism, Calvinism, Catholic Councils, Catholic Counsels, Catholic Saints, Catholicism, Charles Finney, Church Councils, Church Councils Against Predestination, Church Counsels Against Calvinism, Colestius, Council of Arles, Council of Chiersey, Council of Quiercy, Councils Against Calvinism, Did Augustine Corrupt the Church with Gnostic doctrine, Early Church Fathers, early church free will augustine gnostic gnosticism doctrine total depravity Tulip, Eastern Orthodox Church, Five Points of the Remonstrants, free will, Gordon C Olson, Gotteschalcus, Gottschalk, Gottschalk and the Council at Mentz, Gottschalk and the Council of Chiersey, grace, grace in the triad, Harry Conn, Hugo Grotius, Hugo Grotius and Synod of Dort, Hugo Grotius Arminianism, Hugo Grotius Remonstrant, Is Augustinianism Orthodox, Is Calvinism a Cult, Is Calvinism a form of Gnosticism, Is Calvinism Gnostic doctrine, Is free will orthodox doctrine, Is Jesse Morrell a heretic, Is John MacArthur a Gnostic, Is John Piper a Gnostic, Is Josef Urban a Gnostic, Is Marcus Pittman a Gnostic, Is Michael Horton a Gnostic, Is Moral Government Theology Pelagian, Is original sin a gnostic doctrine, Is Paul Washer a Gnostic, Is Pelagianism Heresy, Is Pelagianism Orthodox, Is Pelagianism Wrong, Is R. C. Sproul a Gnostic, Is Todd Friel a Gnostic, is total depravity gnostic doctrine, Is Wayne Grudem a Gnostic, Jesse Morrell Doctrine, Jesse Morrell heretical theology, Jesse Morrell open air outreach preaching evangelism Augustine Pelagius Augustinianism Pelagianism Julian Eclanum hippo Manicheanism Manichean Gnostic Gnosticism free will tulip total depravity John C, Jesse Morrell Theology, John Fletcher, John Huss, John Huss and the Counsil of Constance, John Wesley, john wesley on pelagianism, john wesley on pelagius, Josef Urban, Josef Urban Calvinism, Josef Urban Grace Community Church, Josef Urban Grace in the Triad, Josef Urban Missionaries to Mexico, Josef Urban Tim Conway, Julian of Eclanum, Kingdom of the Cults, Lucidus, Lucidus and Council of Orange, Lucidus and the Council of Arles, Lucidus and the Council of Oral, Marcus PIttman, Marcus Pittman Calvinism, Martin Luther, Martin Luther and the Council of Worms, Monergism, New England Theology, New School Theology, Open Air Outreach, pelagian heresy, Pelagianism, Pelagius, Pelagius and the Council of Carthage, Pelagius and the Council of Diospolis, Pelagius and the Council of Ephesus, Pope Zosimus, Protestant Reformers, Protestantism, Protestantism and the Council of Trent, Ray Comfort Calvinism, Reformation, Reformed, regeneration, Remonstrants and the Synod of Dort, semi-pelagian, semi-pelagianism, Sola Scriptura, Synergism, Synod of Dort, Synod of Dort Condemned Arminianism, the Council at Mentz, the Council of Carthage, the Council of Constance, the Council of Diospolis, the Council of Ephesus, the Council of Oral, the Council of Trent, the Council of Worms, the Synod of Philadelphia, The Vicarious Atonement of Christ by Jesse Morrell, Todd Friel Theology, Tony Miano Theology, Walter Martin, Walter Martin Kingdom of the Cults, Was Augustine a heretic, was Augustine orthodox, Was Augustine wrong, Was Augustinianism Heresy, Was Augustinianism wrong, Was Charles Finney Pelagian, Was Charles Spurgeon a Gnostic, Was John Fletcher Pelagian, Was John Wesley Pelagian, Was New England Theology Pelagian, Was New School Theology Pelagian, Was Pelagius a heretic, Was Pelagius orthodox, Was Pelagius wrong, Wayne Gruden Systematic Theology, Were the Early Church Fathers Pelagians, wesleyanism on pelagianism, Youth With A Mission. Bookmark the permalink. 30 Responses to Was Pelagius Really A Heretic? Was Pelagius Right? Was Augustine A Heretic? Is Calvinism Heresy? This is such an important point. For Protestants to be in such superstitious fear of councils is absurd. Why do the limp-wristed Arminians always cower in fear when the semi-Manicheans say “you’re a semi-Pelagian and that was condemned as heresy at the council of Orange.” Big stinking deal. Several Church Fathers did indeed write on this subject6, albeit not exhaustively, as the Church was focusing her energies in the Christological controversies7. Basil speaks of ―the sin which Adam ‗transmitted‘ while Chrysostomspoke of ―an ‗ancestral obligation‘ written out by Adam amounting to the ‗first portion of a debt which we have increased by our subsequent sins.8‖The additional writings of Gregory of Nyssa and Ps.-Didymus mark, respectively, that sin is ―congenital to our nature9‖ and ―takes rise in us as we are born. ‖10 The teaching, therefore, of the historic Church, while not yet fully developed at that time, sees the effect of Adam‘s transgression as transmitted to all his posterity while maintaining human free will which entails responsibility for individual subsequent sins. In the years prior to the debate between Pelagius and Augustine, the Church had a firm hold on the truth of man‘s fallen condition and subsequent need of divine grace. However, the extent of that fall and the specific way that divine help was available and how it was applied was still in discussion. Side by side with the belief that ―the very will to do good is the work of God and owes its existence to the operation of His grace11‖ was the persistent idea of free will and individual or personal responsibility. 6. J. N. D. Kelly, Early Christian Doctrines, 4th ed. (London: A. & C. Black, 1958). 351. 7. Philip Schaff, History of the Christian Church, 3rd ed. Vol. 3 (Peabody, Mass. : Hendrickson Publishers, 1996), 785. 8. Kelly, Early Christian Doctrines, 351. 10. Ibid. 11. Schaff, History of the Christian Church. Almodovar, Nancy A. (2011-04-01). Pelagius’ Return to the American Pulpit (Kindle Locations 61-62). Silent Cry Ministries, Inc.. Kindle Edition. That article conclusively proves that all of the early church held to free will and denied that we were sinful by the necessity of our nature, and that the Gnostics denied man’s free will because they taught man’s nature was corrupt. It wasn’t until Augustine converted from Gnosticism that he brought this doctrine into the church, which was previously completely foreign. Read the article and tell me if you can refute it. The doctrine of man’s natural inability is not an orthodox Christian doctrine, but a gnostic heresy that crept into the church, nor it is a scriptural doctrine as I prove in my book. did you NOT read the folks I quoted? therefore, not all taught free will. Besides, wouldn’t matter, Scripture says our wills are bound in sin, dead, blind, dumb and deaf to the things of God. So, doesn’t matter what you think of pelagius, it matters what Scriptures teaches. The doctrine of free will most certainly is scriptural. All throughout the Bible man is spoken of as a free moral agent with the power or ability to choose between right and wrong. “And if it seem evil unto you to serve the LORD, choose you this day whom ye will serve; whether the gods which your fathers served that were on the other side of the flood, or the gods of the Amorites, in whose land ye dwell: but as for me and my house, we will serve the LORD” (Josh. 24:15). “I call heaven and earth to record this day against you, that I have set before you life and death, blessing and cursing: therefore choose life, that both thou and thy seed may live” (Deut. 30:19). “Therefore I will judge you, O house of Israel, every one according to his ways, saith the Lord GOD. Repent, and turn yourselves from all your transgressions; so iniquity shall not be your ruin” (Eze. 18:30). “Behold, I set before you the way of life, and the way of death” (Jer. 21:8). The Scriptures nowhere teach that man has lost his ability to choose between good and evil, as has been explicitly taught by Augustinian and Calvinistic theology. The Scriptures used by Augustinians and Calvinists to support their doctrine that free will was lost by original sin are those that speak of sinners as “dead in trespasses and sins” (Eph. 2:1; Col. 2:13). They argue that sinners cannot choose to repent or choose what is good because they are “dead in trespasses and sins.” However, this is truly an incredible interpretation. First, because these passages refer to the cause of their deadness as their own plural trespasses and sins. It is very strange then to credit this state to the original and singular sin of Adam. The Scriptures explicitly teach, “But your iniquities have separated between you and your God, and your sins have hid his ace from you, so that he will not hear” (Isa. 59:2). Second, because these verses relay no implication that this deadness has any connection to the freedom of the will at all. They are superimposing their definition to this phrase when it is not derived from the meaning, context, or usage that we find in the Scriptures. The prodigal son was described by the father as “dead” but “alive again” (Lk. 15:24). This reference to death and life was in connection with the son’s relationship to the father. The son was dead to the father relationally. Nevertheless, the son had the ability to return home. Likewise, a sinner’s relationship with God is dead. Nevertheless, they have the ability to repent, as is presupposed by God’s command to them to do so (Acts 17:30-31). Also, the Scriptures refer to believers as “dead to sin” (Rom. 6:2,11). Does this mean that believers cannot sin? No, this verse is in reference to their relationship not their ability. A believer has a dead relationship with sin. A believer has forsaken their sins. Likewise, sinners are dead in their sins because they have forsaken God for their sins. Their relationship with God is dead and their relationship with sin is alive. Rather than the Bible teaching that the free will of man, which God created as part of our nature, was lost by the original sin of Adam, the Scriptures declare that God dealt with the children of Adam as free moral agents with the capacity to do what was good. Cain was a son of Adam, born after the original sin of Adam. The Scriptures record God’s interaction and dialog with Cain. “And the Lord said unto Cain, Why art thou wroth? And why is thy countenance fallen? If thou doest well, shalt thou not be accepted? And if thou doest not well, sin lieth at the door. And unto thee shall be his desire, and thou shalt rule over him” (Gen. 4:6-7). Cain apparently had no reason to be upset, but if he was deprived of the ability to obey God he certainly would have a good reason! And if Cain was incapable of doing well and being accepted, and of ruling over sin, then God certainly gave Him a false impression in His dialog with Him. But Cain was a free moral agent, whose nature had the faculty of free will, because he was a child of Adam. The Scriptures are explicitly clear that men are created in the image of God even after the original sin of Adam (Gen. 9:6; 1 Cor. 11:7; Jas 3:9), and therefore, the freedom of man’s will remains. In fact, when we read about all of the consequences of Adam’s sin, which God declared to him, the loss of free will was not included, mentioned, or even hinted at (Gen. 3:16-19). I think the problem is you don’t have a firm grasp on who lived when. You cite Gregory of Nyssa and John Chrysostom as before Pelagius and Augustine when they were actually contemporaries or near contemporaries. A quick trip to Wikipedia can tell us when these guys lived. Augustine 354 – 430. Pelagius 354 – 420/440. Gregory of Nyssa 335 – 395. Chrysostom 347–407. Pseduo Didymus is Pseudo so we will ignore him. Now all these guys live after the Donatist controversy which started in 311, and after the supposed donation of Constantine in 315/317 and the Nicean council in 325. This is when the church was merging with the empire, which was to a large extent what the Donatist controversy was about. Not only were the Donatists against allowing priest who denied Christ during persecution to return to their posts, but they opposed vigorously the merger of the church with the state. What do Augustine, Chrysostom, and Gregory of Nyssa all have in common? 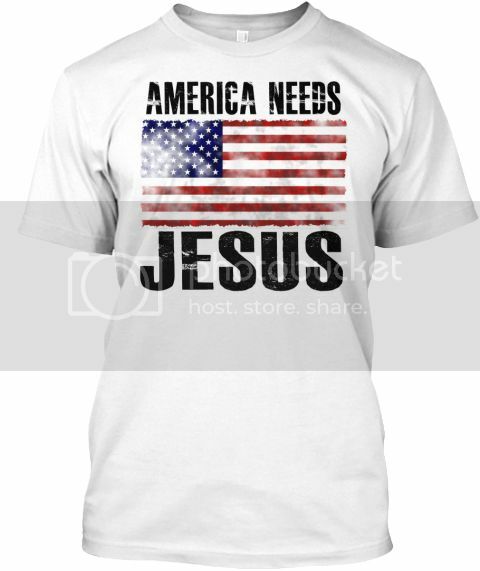 They are OK with the merger of church and state. As to Pelagius, we know not his views on that subject, but being an obscure monk from the faraway province of Brittania its likely he doesn’t have to worry about that subject too much in his native land and while sojourning in Rome or Palestine for a bit, why would he get involved with that question? It would be pointless. But for these guys who hold posts as Bishops in the Imperial Church, the very fact of their accepting the Imperial Church brings with it an obligation to tow the line of Imperial Theology. If the Empire, therefore, is imposing a new Gnosticising tendency on its theologians, they must follow it, being part of the establishment. Pelagius, the monk from a Barbarian province, however, has no political pressure on him (none that truly matters to him) to follow the new Gnosticising tendecy of the Imperial Church and feels free to continue the FREE tradition of the Ante-Nicean fathers. What could be more obvious than this? That is a very good point. Nancy cited Gregory of Nyssa and John Chrysostom, to prove what the church taught before Pelagius, when these men existed the same time that he did… However, the quotes that I provided from Clement of Rome, Ignatius, Justin Martyr, Methodist, and Eusebius actually did exist before Augustine and Pelagius and thus are truly part of the “early’ church. A lot of problems are caused by people not knowing when particular fathers lived. Most people just assume Augustine lived right after the apostles or something. In fact, he is the only name most people would even be able to cite if you asked them to list off some church fathers. People honestly think Augustine arose as soon as Paul died or something! Nacy, I missed one of the fathers you claim for your side in my previous comment: Basil the Great lived 329 – 379, again basically a contemporary of Augustine and Pelagius, and again he comes after the beginning of the Donatist controversy (311) and the supposed Donation of Constantine (315/317) and the Nicean Council (325), all of which was the beginning of a new era in which the church of the Ante-Nicean fathers was being scrapped, compromise was being made with Gnosticism and Paganism, and the unholy entity which I call the Imperial Church was being formed. And inasmuch as Basil was on the payroll of that entity, it is not surprising if we find him disagreeing with the Ante-Nicean fathers like good ole Justin Martyr (100-165) who clearly taught free will or Irenaeus who wrote circa 170-180 or so (he died in 202 but his birth is not precisely known, possible dates ranging from 115 to 142) who also taught free will. One more point I’d like to add and then I think I’m done for now. Today it is common to reject the Apocrypha and so we often forget that the church fathers did NOT reject it (with the exception of Jerome who lived in 347 – 420). The Ante-Nicean fathers used the Apocrypha. Augustine also used it, as did basically all his contemporaries. Jerome alone claimed it was not inspired, yet even he used it for limited purposes. That being said, on top of the fact that Justin Martyr (100-165) and Irenaeus who wrote circa 170-180 or so (115/142 – 202) and many others taught free will in such an early time….aside from that, realizing they used the Apocrypha as Scripture in those days, we could simply look at Sirach 15 also. 11: Say not, ‘It is through the Lord that I fell away’: for thou oughtest not do the things that he hateth. Say not, ‘He hath caused me to err’: for he hath no need of the sinful man. 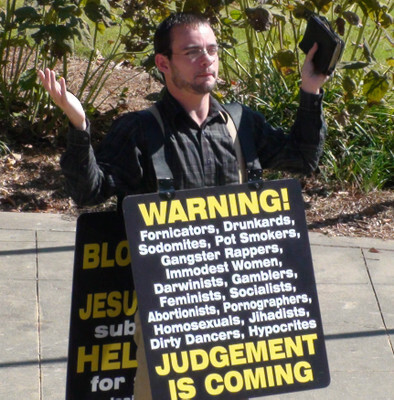 The Lord hateth all abomination; and they that fear God love it not. He himself made man from the beginning, and left him in the hand of his own counsel;  If thou wilt, thou can keep the commandments, and perform acceptable faithfulness. He hath set fire and water before thee: stretch forth thy hand unto which thou wilt. Before man is life and death; and which he liketh shall be given him. For the wisdom of the Lord is great, and he is mighty in power, and beholdeth all things:  And his eyes are upon them that fear him, and he knoweth every work of man. He hath commanded no man to do wickedly, neither hath he given any man licence to sin. For this commandment which I command thee this day, it is not hidden from thee, neither is it far off. It is not in heaven, that thou shouldest say, Who shall go up for us to heaven, and bring it unto us, that we may hear it, and do it? Neither is it beyond the sea, that thou shouldest say, Who shall go over the sea for us, and bring it unto us, that we may hear it, and do it? But the word is very nigh unto thee, in thy mouth, and in thy heart, that thou mayest do it. See, I have set before thee this day life and good, and death and evil;  In that I command thee this day to love the Lord thy God, to walk in his ways, and to keep his commandments and his statutes and his judgments, that thou mayest live and multiply: and the Lord thy God shall bless thee in the land whither thou goest to possess it. But if thine heart turn away, so that thou wilt not hear, but shalt be drawn away, and worship other gods, and serve them;  I denounce unto you this day, that ye shall surely perish, and that ye shall not prolong your days upon the land, whither thou passest over Jordan to go to possess it. I call heaven and earth to record this day against you, that I have set before you life and death, blessing and cursing: therefore choose life, that both thou and thy seed may live:  That thou mayest love the Lord thy God, and that thou mayest obey his voice, and that thou mayest cleave unto him: for he is thy life, and the length of thy days: that thou mayest dwell in the land which the Lord sware unto thy fathers, to Abraham, to Isaac, and to Jacob, to give them. I know its dangerous to bring up the Apocrypha, because then the predestinarian will call you a Romanists and all manner of things like that, but who is more a Romanist than one who follows Augustine??? Justin Martyr was no Romanist, neither was Origen, nor was Pelagius for that matter. But we know Augustine of a certainty was. In fact one of the things that caused the whole Pelagian controversy was that Augustine taught that unbaptized infants go to hell because of his new invention of ‘original sin’ which angered Pelagius. What is more Romanist than preaching that unbaptized infants go to hell? 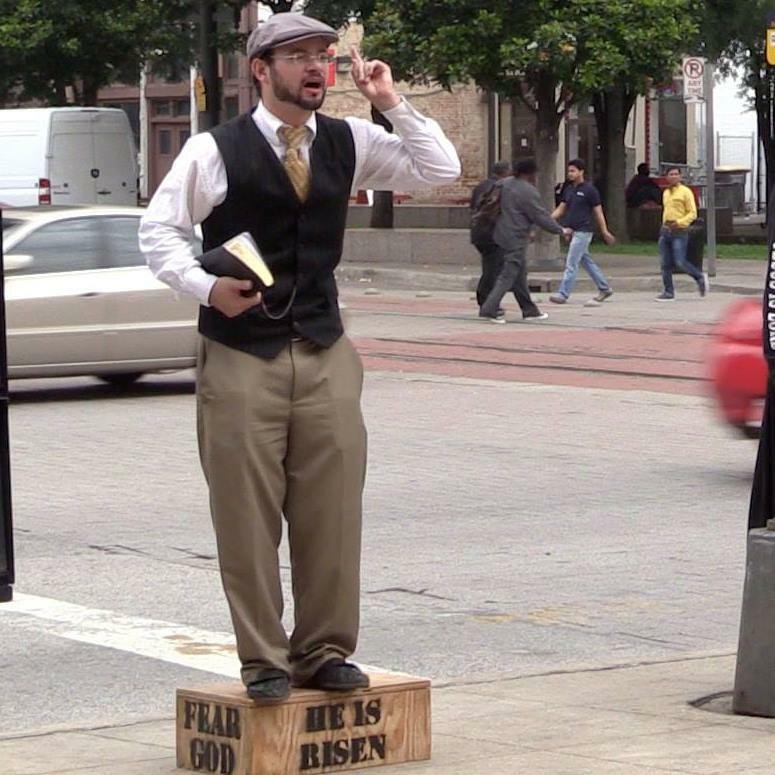 And what is more ‘Protestant’ than preaching against that? Yet, these self-styled Protestants venerate Augustine and hate Pelagius. Everything is always backwards with them. I noticed that Pelagius and others in the early church referred to the apocrypha, and when I found that quote I realized that it was no wonder the Reformers didn’t like it… Of course, even Martin Luther said that James was an epistle of straw! … Whether the apocrypha was inspired or not is another issue, but that particular quote is good theology. One thing I think is interesting with Sirach is that whereas the KJV follows the Greek translation of Sirach, some more modern translations correct it based on fragmentary Hebrew manuscripts that have been found. Although the preface to the Greek translation clearly states that Ben Sira’s grandson translated the text from Hebrew into Greek the idea developed that the text was never written in Hebrew and was therefore illegitimate etc., but this has been disproven by discovery of Hebrew manuscripts. Anyway, some minor differences in translation result from some translators using the Hebrew text, so in verse 11 (I know this because of a footnore in the NRSV) the Greek says “you ought not do what he hates” whereas the Hebrew says “he does not do what he hates.” I think that we may have a similar situation in verse 15, where modern translations who make use of the Hebrew say “to act faithfully” but the KJV following the Greek says “to perform acceptable faithfulness.” (pistin poiesai eudokias) I like the way the Greek version has it because I think that it underscores that although we can’t live a perfect sinless life we can live a life of acceptable or satisfactory faithfulness. Augustinianism, I think, is based on a notion that God is implacable and anything less than absolute perfection cannot please him, so lets just give up and not try. This notion of being able “to perform acceptable faithfulness” is such a perfect counter to that mentality. Which Scriptures you are referring to? Romans 1:18-21 “For the wrath of God is revealed from heaven against all ungodliness and unrighteousness of men, who hold the truth in unrighteousness; Because that which may be known of God is manifest in them; for God hath shewed it unto them.For the invisible things of him from the creation of the world are clearly seen, being understood by the things that are made, even his eternal power and Godhead; so that they are without excuse:Because that, when they knew God, they glorified [him] not as God, neither were thankful; but became vain in their imaginations, and their foolish heart was darkened.” Scripture clearly and plainly states hat which may be known of God is manifest in all of us. Scripture clearly disagrees with your assertions. -creed free and providentially delivered by God, to YOU! 1. That faculty of the mind by which we determine either to do or forbear an action; the faculty which is exercised in deciding, among two or more objects, which we shall embrace or pursue. when a mother determines to do or forbear running into on coming traffic to save a strangers child…is that because her will was bound in sin?. dead and unfeeling? blind to doing that which is right or wrong? Or when a soldier determines to do or forbear the act to protect his comrades shouting out …GRENADE! !, and throwing himself on it knowing already from much training, that he will perish, is that because his will is bound to sin? or dead and unfeeling? or blind to doing that which is right or wrong? John 15:13 – Greater love hath no man than this, that a man lay down his life for his friends. is the sacrifice of countless unsaved soldiers, civil volunteers, friends and strangers alike, because their wills are bound to sin? dead and unfeeling? blind to doing that which is right or wrong? What makes the choices of the saved free in these things and the lost’s unfree in the same things? Matthew 7:11 – If ye then, being evil, know how to give good gifts unto your children, how much more shall your Father which is in heaven give good things to them that ask him? quite frankly, the Calvinist has utterly no clue what they speak of because they know not either the scriptures nor their English dictionary of words which God in providence provided to understand his words in the language that HE authored. And here’s another point that EVERY Calvinist, and many non Calvinists do not realize…the word ‘slave” (to sin/in sin) is only used TWICE in the Bible…once in the old and once in the new Testaments. Want to know why? A slave does NOT labor for reward, recompense or ‘wages”…but the “wages” of sin is death. And god is no respecter of persons but will “reward” every man according to his works. 1. A person who is wholly subject to the will of another; one who has no will of his own, but whose person and services are wholly under the control of another. God has made it clear that man is responsible for his own actions…this means man chooses his acts and reaps of that which he sows. Man is not under the control of another…his will is his. Man chooses to serve sin…he is NOT a slave to it…the Bible is clear. 1. A person, male or female, that attends another for the pupose of performing menial offices for him, ot who is employed by another for such offices or for other labor, and is subject to his command. note the second part of the definition of the word “servant’ which the Bible, by God’s providence in preservation, is translated to in English. “Servant” conveys the difference from slave in that the servitude is voluntary…that is, it is by one’s own subjection in choice. Romans 6:17 – But God be thanked, that ye were the servants of sin, but ye have obeyed from the heart that form of doctrine which was delivered you. Romans 6:20 – For when ye were the servants of sin, ye were free from righteousness. Even the word in it’s original tongue is shown to NEVER be translated into the word slave and it’s own peculiar intent/definition. Rather the word is translated into 4 distinct english words each with their own peculiar (and on purpose) definitions and the english word “slave” is NOT translated…in the bible that God preserved his words in. The intent of the original tongue word “doulos” when it meant or intended the peculiar definition of a slave, was conveyed in the usage of the word and would have been understood by those that spake the language and communicated in it…which we don’t. Definition:	From G1210; a slave (literally or figuratively involuntarily or voluntarily; frequently therefore in a qualified sense of subjection or subserviency): – bond (-man) servant. So when we read the definitions of the greek word (which men penned in english for it,) they say it CAN mean a slave, voluntarily or involuntarily, but that specific intent was NEVER implied in the scriptures and therefore God’s Bible, the KJV, properly translates “servant” (or the other 3 words).because a servant (not a slave) labors for reward, recompense, or wages and because he yeilds his will (desire, determination, choice” to that of his master whom he serves. Man’s will is free to exercise…he has free will. And man chooses to sin or to forbear to sin…I know I did as a man that was not saved. I can prove to any man or woman lost or saved that hey have free will…very simply. Unconstrained; unrestrained; not under compulsion or control. if you do believe this, is that a ‘free’ ‘choice’ of yours to exercise said belief? if you do not believe this, is that also a free choice of yours to exercise that unbelief as well? will that respective response be because you are forced (constrained or restrained) or enslaved by some other? or will your desire-inclination-choice (will) to answer my statement, be in fact a free exercise of desired choice (will), of and by you? Do you then _believe_ you have the free will to answer me or to not answer? Or do you believe you do not have free will to answer me or to not answer me? …was that capability to believe either way, innately yours, or did some other exercise that faculty of belief through you? ALL men have free will and your own conscience has just convinced you.
? 5 And they reasoned with themselves, saying, If we shall say, it is by our own free will that we answer you, he will say, Why then believed ye not that man can choose life or death? fore ordained and predestined”; then all the people will stone us: for they will be persuaded that we are false prophets. 1. The power of directing our own actions without restraint by necessity or fate. Nancy, I appreciate the fact people see things differently and perhaps have valid reasons for having different opinions. It’s great when people can be humble and learn from each other without just caving mindlessly and accepting errors and heresies out of peer pressure. But, I am concerned not so much about the hold Calvinism seems to have on you, but more because of the way you handled your disagreement with the others. You seemed to run afoul of the Bible’s warnings against adding to God’s Word or saying, “thus saith the Lord” when the Lord has not spoken, and then you seem to kiss everyone off in the same way cult members seem to do when their doctrines are examined honestly. Here, the false accusations brought against Pelagius are brought out in the open together with his teachings, and the work that was done seems to me to be honest, good hearted, sincere, and of the best quality. To this day, there are a few people who bash Finney mercilessly and totally dishonestly accusing him of leaving a swath of destruction in the path behind him–vacant churches, cities living in the utmost sin, and so on, and crying out against his supposed heresies. Sometimes I think if these people ever told the truth, it would have to be for the purpose of making another lie more believable. Finney, like Pelagius, called people out of sin, out of antimonianism, out of hypocrisy and insincerity, out of dishonesty, out of cowardice. He was not unkind or cruel or damning. His heart was to bring up sins and call people to love God sincerely and be faithful to Him. These two, from different millennia walked the walk and they were highly respected men of faithfulness and prayer. Truth is, sin dies a cruel death fighting and flailing to stay alive. If you look in any direction at any time in almost any place in this nation, you will find no shortage of the defense and love of sin. And to defend it further, people propose we cannot resist it. We’re sinner’s by constitution, born that way, hardwired to sin, deprived of all ability to be faithful. What would a woman say to her husband if he tried to pass off his continual unfaithfulness and womanizing as though he were merely weak, frail, and incapable of avoiding the temptation to bed other women? Husbands, how would you like it if your wife slept around like a prostitute or a whore saying her human frailties left her unable to avoid the love of money or the love of lust and adultery? How would you feel if she seemed to imply God had failed to give her sufficient grace to avoid going into adultery? How would you feel if she claimed the devil made her do it, or that she was just weak? Do you have any reason to believe the continual adulterer will quit committing adultery? the one who insincerely postures his or her humility before you as an excuse for continual failure? Now, would you accept that person to remain your husband or wife? What if that person abused you and your children, squandered your family income on unworthy things like gambling and drunkenness and drugs and prostitutes? Would you be OK with this? If so you probably don’t have much esteem for your children or yourself. But, how many seem to feel entitled to more faithfulness than they’re willing to render to God? Is that humility? Look! See how humble I am as I declare by my actions and choices that God has no claim to authority over me. 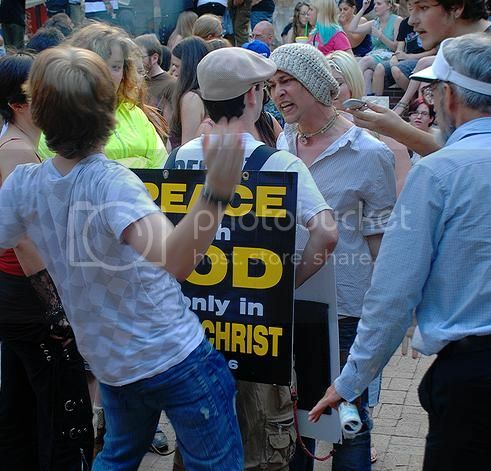 Look how humble I am to consider myself more wisdom than God choosing my decisions and totally ignoring His. And look how I live totally dishonestly and irresponsibly posturing my fake humility by insulting the quality of His creation in me? And look how I call God a liar when He says greater is He that is in me than He that is in the world. But, I can’t help it. God screwed up and made me weak. What can I say? 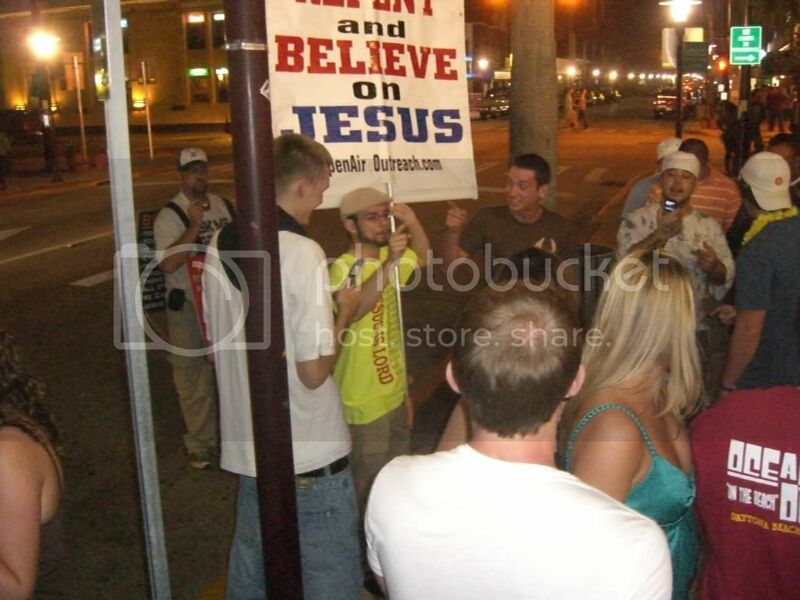 What a putrid, blasphemous lie people pose in the name of religion! End it. End the sanctimonious dung. End the fake humility. Lay the ax to the root of the sin in your life and repent and be saved in the land of reality instead of the land of brain dead, unfounded, religious sounding lies. Trust God at His Word and give your heart to Him. We have no right to put words in another person’s mouth dishonestly. We have no right to put a “thus saith the Lord” to our unscriptural opinions. We have no right to ascribe false motives to another person. We have no right to lie to ourselves, to others, to our children, to God. We have no right to claim to be a Christian while bringing dishonor to God’s Name. Repent and live, or refuse and perish. And please don’t see this as a bashing of all who hold to some views that might be called Calvinistic. I read and love reading Spurgeon and have the highest regard for him. Same is true for Paul Washer. But there is a difference between their kind of Calvinism and that which some might call Antimonianism. While they may teach a person cannot lose his or her salvation, if that person lives in sin continually without a care, they believe that person was never saved in the first place, that their repentance was false, perhaps a lie, a posturing, a conformity to some call to recite a prayer, a ritual, a mock baptism of sorts. And while they believe a Christian can sin, they believe he cannot remain in sin. They believe God chooses who is saved, but their reasoning is not like that of a fatalist. I do not agree with their views, but neither do I see reason for concern that they might be heretics merely because they read the same scriptures, believe the same scriptures, pray to the same God and yet come to a slightly different understanding than I have. I believe their opinion is that all humans are really, deeply evil to the core of our being, perhaps by choice, or perhaps not by choice. I have trouble believing a person can be evil without making a moral choice freely, but their view may be that a person is evil to the core and is fully deserving of hell, and that since God is good, he would still be good to send us all to hell. So, if he were to choose to save some from sin, that would not be unjust or unkind at all. After all,if God would not be evil to send us all to hell, He would not be more evil were He to save some. The problem I have with this view is that scripture says God would that none should perish, and I see no reason why God would not choose to save all if He were to make the decision. Yet, they may tend to believe that we would all choose to reject God and go to hell if the choice were left with us since man is evil and hates God. But, whether they are right or whether I am or whether there’s something that doesn’t totally agree with either, I don’t think these views would condemn someone to hell forever for failing to trust God or believe Him. But, what I would be concerned about is when someone willfully lies, whether it is about what other people teach, or whether it’s putting a “Thus saith the Lord” to their views. 1 Timothy 2:4 – Who will have all men to be saved, and to come unto the knowledge of the truth. The word “all”, being an english word and of course defined in that language in and by the providence of God (he is the Author of all languages or tongues,) has very defining intents/ meanings and those seen when used in it’s correct grammatical structure. What many have missed (Calvinists) in their efforts to unrightly divide the word of truth is shown in the word’s very definition…watch this…. 1. Every one, or the whole number of particulars. 2. The whole quantity, extent, duration, amount, quality, or degree; as, all the wheat; all the land; all the year; all the strength. This word signifies then, the whole or entire thing, or all the parts or particulars which compose it. It always precedes the definitive adjectives, the, my, thy, his, our, your, their; as, all the cattle; all my labor; all thy goods; all his wealth; all our families; all your citizens; all their property. According to proper grammatical structure, the word “all” has two intents in meaning…which intents would be conveyed in the original tongue via it’s usage and they being refined in definition in English. So according to correct grammatical structure, whenever the word is used without the Definitive following it, the word means definition 1. When there is a definitive, it means a quantity of the particular or a portion of the particular ( in this verse men is the particular). they will use verses that say “all Judea” etc and assert that not all the people or men would have gone out to see the Lord. Again, the word and it’s intent is defining the “particulars”…and in this case, Judae, Jerusalem and the region round about is speaking of towns and cities and is therefore grammatically correct and consistent with the other verses which say “all men” and mean all of the particulars..(men, cities etc). All the towns went out to see him…as the scripture intended to say. and God is willing that “all men” be saved…contrary to the RT/Calvinistic dogma. Romans 5:7-8 – For one will scarcely die for a righteous person—though perhaps for a good person one would dare even to die—but God shows his love for us in that while we were still sinners, Christ died for us. Psalm 143:2 – Enter not into judgment with your servant, for no one living is righteous before you. Micah 7:2-4 – The godly has perished from the earth, and there is no one upright among mankind; they all lie in wait for blood, and each hunts the other with a net. Their hands are on what is evil, to do it well; the prince and the judge ask for a bribe, and the great man utters the evil desire of his soul; thus they weave it together. The best of them is like a brier, the most upright of them a thorn hedge. 1 John 1:8,10 – If we say we have no sin, we deceive ourselves, and the truth is not in us. If we say we have not sinned, we make [God] a liar, and his word is not in us. c.f. 1 Kings 8:46; 116:11, 130:3, 143:2; Proverbs 20:9; Ecclesiastes 7:20; Jeremiah 2:29; Micah 7:2-4, Mark 10:18; Luke 18:19; Romans 5:12-14; 1 Corinthians 5:9-10; James 3:2; etc., etc. Psalm 5:9 – For there is no truth in their mouth; their inmost self is destruction; their throat is an open grave; they flatter with their tongue. Titus 1:15-16 – to the defiled and unbelieving, nothing is pure; but both their minds and their consciences are defiled. Ecclesiastes 9:3 – Also, the hearts of the children of man are full of evil, and madness is in their hearts while they live, and after that they go to the dead. Ephesians 4:17-18 – you must no longer walk as the Gentiles do, in the futility of their minds. They are darkened in their understanding, alienated from the life of God because of the ignorance that is in them, due to their hardness of heart. Genesis 6:5 & 8:21 – The Lord saw that the wickedness of man was great in the earth, and that every intention of the thoughts of his heart was only evil continually… from his youth. Proverbs 10:20 – the heart of the wicked is of little worth. Our wills are held captive to sin and therefore is not free. I mean, would you call a slave “free”??? 2 Peter 2:19 – They promise them freedom, but they themselves are slaves of corruption. For whatever overcomes a person, to that he is enslaved. Titus 3:3 – For we ourselves were once foolish, disobedient, led astray, slaves to various passions and pleasures, passing our days in malice and envy, hated by others and hating one another. Galatians 4:8-9 – Formerly, when you did not know God, you were enslaved to those that by nature are not gods. But now that you have come to know God, or rather to be known by God, how can you turn back again to the weak and worthless elementary principles of the world, whose slaves you want to be once more? Romans 6:6,16,17,19,20 – We know that our old self was crucified with him in order that the body of sin might be brought to nothing, so that we would no longer be enslaved to sin. Do you not know that if you present yourselves to anyone as obedient slaves, you are slaves of the one whom you obey…? 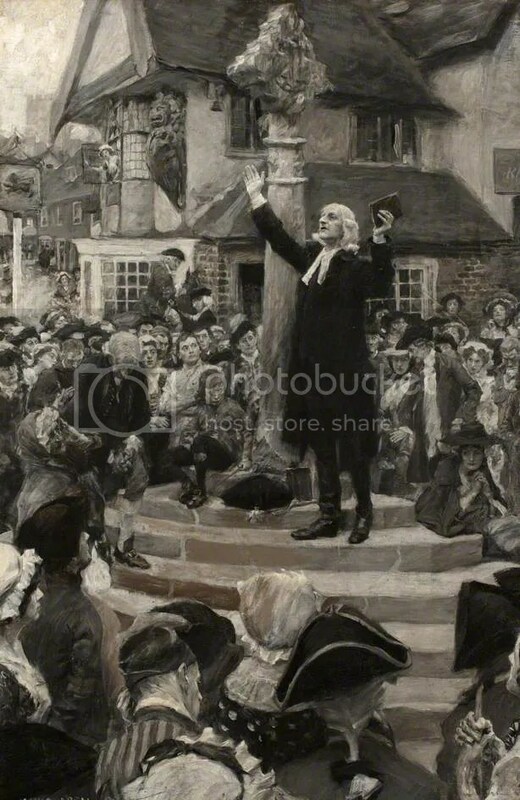 But thanks be to God, that you who were once slaves of sin have become obedient from the heart to the standard of teaching to which you were committed… For just as you once presented your members as slaves to impurity and to lawlessness leading to more lawlessness, so now present your members as slaves to righteousness leading to sanctification. For when you were slaves of sin, you were free in regard to righteousness. Romans 7:14 – For we know that the law is spiritual, but I am of the flesh, sold under sin. 2 Timothy 2:25-26 – God may perhaps grant them repentance leading to a knowledge of the truth, and they may come to their senses and escape from the snare of the devil, after being captured by him to do his will. I can continue if you don’t like these verses. This focus on negativity and inability to do anything right results simply in your never growing. This is why all Calvinists know how to do is attack Christians and condemn them for progressing in the Christian life, because this is really what you are doing. Then we find the righteous are righteous from the womb and the wicked are wicked from the womb! We find not that all men are wicked from the womb. So much for Calvinism. Yet the entirety of Scripture teaches our ability to change, to repent, and therefore what we will be is not statically set from birth. Again, it sounds like everyone is either born evil or good — everyone is not born evil, but some are born evil and some good. So it sounds like from this. But rather, from what Jesus says in another place, we find it is not truly that we are born either way, but neutral, and then what we are is based on a choice. So, we are the tree, and we also are the one who decides to make the tree (ourselves) either good or evil. After this he says (as I know you will latch on to as is the Calvinist tendency) “O generation of vipers, how can ye, being evil, speak good things? for out of the abundance of the heart the mouth speaketh.” But he has already explained it is within out power to make the tree good or evil. The question, then, is once having made yoruself evil, how can you speak good things? Only by making yourself good again — and that is called repentance. who started the attack? You did when you portrayed Reformed Theology so incorrectly. But, since you just want to rant against Calvinists, and I gave you Scriptures which specifically counter your point and position, there is nothing more to do. I’ll un-log into this blog. It would seem that you prefer your interpretation instead of the plain reading of the Word of God. That is sad. Nancy, maybe you should look at the names on the comments. I’m not the owner of this blog, just a guest like you. But anyway, I think that the immature response of “I’ll just pick up my toys and leave” shows you know that all Calvinist theology does is attack Christians who are progressing in the Christian life. This is one point that can be understood from a reading of Agustine’s anti-Pelagian works to be sure. Augustine admits in one of those writings that by all accounts Pelagius is a holy man who has “made great progress in the Christian life” and yet he then seeks to attack him, to belittle him, to destroy him. Why? Perhaps jealously, perhaps something else. But one thing is certain, if you acknowledge that someone is living a righteous life and has “made great progress in the Christian life” there is no reason to attack them unless its from some un-christian motive. If Pelagius had indeed “made great progress in the Christian life” as Augustine says, then there must have been something right about his theology, so why attack it? That’s just the way Calvinism is: it can’t stand Christians progressing. Because once they progress, they don’t want to hear neverending sermons on inability: they’ve moved beyond ‘Reformed’ theology to something better. They’ve been being changed by degrees into the image of Christ from glory to glory, and that old teaching on “inability! you can’t do anything right” doesn’t phase them anymore, and now the Calvinist preachers will have to find new victims to fill their coffers. Since Jesus said, “If ye were blind, ye should have no sin…” (Jn. 9:41), and since James said, “Therefore to him that knoweth to do good, and doeth it not, to him it is sin” (Jas. 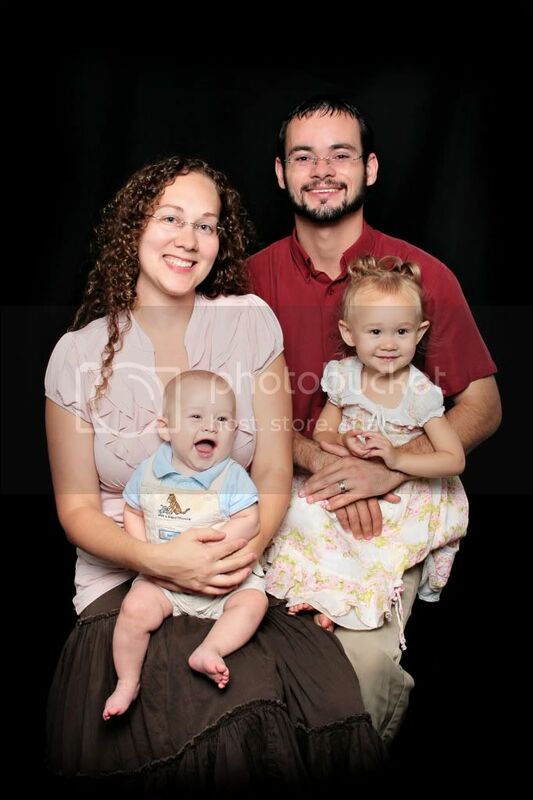 4:17); infants are, therefore, morally innocent. This is because they don’t yet know right from wrong and they cannot yet know right from wrong. They have “no knowledge between good and evil” (Deut. 1:39) and do not yet “know to refuse the evil, and choose the good” (Isa. 7:15-16). Consequently, infants haven’t yet made any moral choices. Infants have not yet “done any good or evil” (Rom. 9:11). Without moral knowledge, you cannot have moral obligation or make moral choices. And without moral obligation and without moral choices, you cannot have moral character. Since infants are without moral knowledge, moral obligation, moral choices, and consequently without moral character, they are exempt from the wrath of God. Only those who have a developed mind or have enough knowledge are “without excuse” before God (Rom. 1:20). The “wrath of God” is coming upon those who “hold the truth in unrighteousness” (Rom. 1:18). That means that God’s wrath is against those who possess the truth and yet are sinning anyway. Infants, therefore, have an excuse for their behavior and are not under the wrath of God because they do not yet possess moral knowledge of right and wrong. The moral accountability of each individual is proportionate to the knowledge that they have. “Very I say unto you, it shall be more tolerable for the land of Sodom and Gomorrah in the Day of Judgment, than for that city” (Matt. 10:15). Sodom and Gomorrah, for example, were not under moral obligation to obey the Gospel because they had no knowledge of the Gospel. It was impossible for them to possess such knowledge. But as soon as the Gospel was known to those cities that Jesus preached to, they became obligated to obey that knowledge. “For unto whomsoever much is given, of him shall be much required” (Lk. 12:48). Since infants do not have any moral knowledge whatsoever, they are not accountable or responsible to God at all. Since infants are without moral knowledge, without moral obligation, and without moral choices, this adequately explains why the Bible explicitly describes infants as morally “innocent” (2 Kin. 21:16; 24:4; Jer. 13:26-27; Ps. 106:37-38; Matt. 18:3). When Bible talks about the shedding of “innocent blood” (2 Kin. 21:16), the context of this passage is child sacrifices. It says that King Manasseh “made his son pass through the fire” (2 Kin. 21:16). That is, he sacrificed his innocent child upon the altar of a false god. God had commanded, “thou shalt not let any of thy seed pass through the fire of Molech” (Lev. 18:21). Since King Manasseh sacrificed children, it says that he “shed” “innocent blood” (2 Kin. 24:4). Clearly, God views infants as morally innocent. According to the meaning of the Hebrew word “innocent” in this passage, God was literally calling infants “blameless,” “clean,” and “guiltless.” This means that children are not blameworthy, filthy, or guilty.
. But if an infant dies, he will go to Heaven not hell. That is because an infant has no sin to go to hell for. King David was comforted because of his belief that He will go to see his child one day (2 Sam. 12:22). Jesus said that the Kingdom of Heaven belonged to little children (Matt. 19:14; Mk. 10:14; Lk. 18:16). Until children develop and make the conscious choice to violate God’s law, they are morally innocent and do not deserve damnation. Infants are not sinners merely because they are made of flesh or because of the nature they are born with, and no child deserves hell merely because God forms them in the womb, creating and composing them of physical substance. While infants are born morally innocent, since it is impossible for them to be born any other way, all men have chosen to be sinners from their youth (Gen. 8:21; Jer. 22:21; 32:30). This is when they reach the age of accountability. All men, who have come of age, are conscious of the fact that they have deliberately broken the law of God. We have all, at some point, freely given into temptation contrary to the demands of our conscience. Our will has freely chosen contrary to the moral knowledge of our mind. Sin is the transgression of God’s law (1 Jn. 3:4). God’s law forbids selfishness or self-centeredness by forbidding us from loving ourselves supremely or loving ourselves above our fellow man. It commands benevolence supremely toward God and equally toward our neighbor (Lk. 10:27). Both selfishness and benevolence are choices of the will. They are the motives and intentions of the heart. Therefore, sin at its essence is the choice, motive, or intention of selfishness; while obedience at its essence is the choice, motive, or intention of benevolence. All men naturally know that benevolence is morally right and that selfishness is morally wrong. When the Bible says that “all have sinned” (Rom. 3:23), that means that all men have chosen to be selfish. It means that we have all chosen to do what we knew was morally wrong. In this way, we have willingly and knowingly chosen to be transgressors. This is God’s problem with mankind. “…the Lord hath a controversy with his people” (Mic. 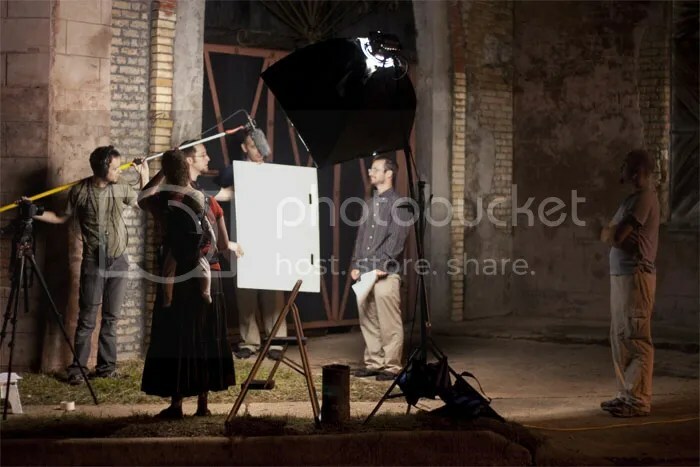 6:2). God’s problem with men is that they have freely and personally chosen to go their own way and to be sinners (Gen. 6:12, Ex. 32:7, Deut. 9:12, Deut. 32:5, Jdg. 2:19, Hos. 9:9, Ps. 14:2-3, Isa. 53:6, Ecc. 7:29, Rom. 3:23, Rom. 5:12). The Bible says, “All we like sheep have gone astray; we have turned everyone to his own way” (Isa. 53:6). The phrase “gone astray” and “we have turned” indicates individual volition or personal deliberation. Men are sinners because they choose to sin. Sinners are deliberate rebels against the moral government of God. •	A sinner is someone who chooses to sin. •	Therefore, men are sinners by choice; men are sinners because they choose to sin. Mankind is a race of criminals. Mankind is a race of beings using their free will to rebel against their Maker. The criminality of man lies in his free choice to be a sinner. Regarding our race, God said, “Every one of them is gone back: they are all together become filthy, there is none that doeth good no, not one” (Ps. 53:2; 14:2). 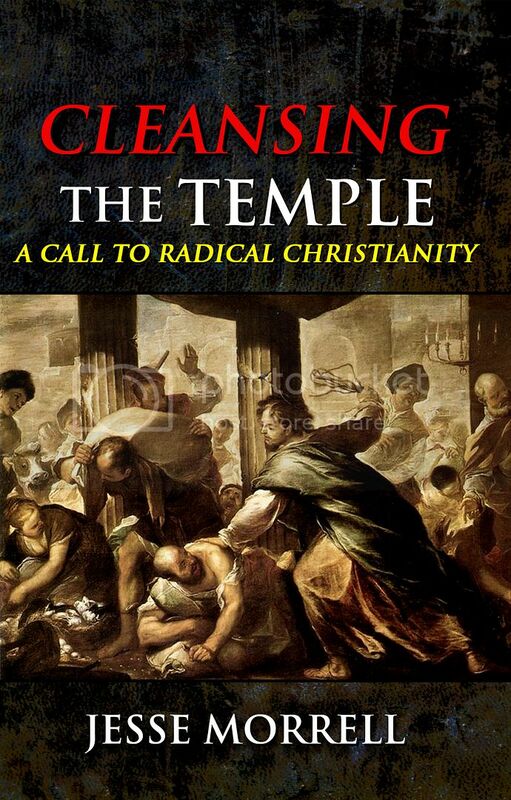 Only the morally innocent can become guilty, only the morally clean can “become filthy.” This description of the sinful state of man describes a degenerate state, one which they have “gone back” into. It is not a state that we were helplessly born into but a state that we have deliberately chosen to become or fall into. It says that they “become” this way. Men “become” sinners when they choose to sin.
. The Bible says, “God hath made men upright; but they have sought out many inventions” (Ecc. 7:29). “God hath made man upright” shows that we cannot blame our sin upon our Creator, on our nature or constitution, or on our birth. And “they have sought out many inventions” means that we have personally chosen to go after sin. A sinner by definition is a person who chooses to sin. You cannot be a sinner until you first choose to sin. The Bible says that sinful men have “corrupted themselves” (Gen. 6:12; Exo. 32:7, Deut. 9:12, Deut. 32:5, Jdg. 2:19, Hos. 9:9). The sinfulness of each individual is self-inflicted. A sinner is in a self-caused state of wickedness. Sinners are not wicked by design but by determination. The Bible say’s man’s heart is evil from their youth (Gen. 8:21; Jer. 22:21; 32:30). That means that all men everywhere, at the age of accountability when they know right from wrong or have become moral agents, have personally and freely chosen to be sinners (Gen. 6:12, Ex. 32:7, Deut. 9:12, Deut. 32:5, Jdg. 2:19, Hos. 9:9, Ps. 14:2-3, Isa. 53:6, Ecc. 7:29, Rom. 3:23, Rom. 5:12). Men have chosen to be sinners despite the fact that sin is contrary to our design or nature, and despite our natural ability to do the will of God. God said, “Everyone one of them is gone back: they are all together become filthy, there is none that doeth good no, not one” (Ps. 53:2; 14:2). It is self-evident that only the morally innocent can become guilty, only the morally clean can “become filthy.” This description of the sinful state of man describes a degenerate state, one which they have “gone back” into, not a state that we were helplessly born into but a state that we have deliberately chosen to “become” or fall into. The Bible says, “All we like sheep have gone astray; we have turned everyone to his own way” (Isa. 53:6). The phrases “have gone astray” and “we have turned” signifies personal volition. Sinners are deliberate rebels. Sin is something that each individual conceives in their own heart (Acts 5:4), something that men originate with their own will (Ps. 7:14; 58:3; Matt. 12:35, Lk. 6:45). Men, in a sense, give birth to sin. A sinner “travaileth with iniquity, and hath conceived mischief, and brought forth falsehood” (Ps. 7:14) Sin is personal because it is originated by each person. “All have sinned” (Rom. 3:23) means that all men have personally and deliberately chosen to violate the law of God. We have used our natural ability of choice to choose contrary to the design of our nature. “But unto the wicked God saith… thou hatest instruction, and castest my words behind thee” (Ps. 50:17). All men have deliberately chosen to rebel against the moral knowledge God has given them and to choose what they have naturally known to be wrong. What about when the lost choose NOT to sin…what is it then? Countless millions of times sinners choose NOT to do that which comes into their minds to commit unrighteousness. what makes their wills to choose to not sin any different than the believers? but a servant always does…”the WAGES of sin is death. as a lost teenager, I did LOTS of things good and out of goodness of the heart….and you did to. How do you reconcile your newly embraced religion with the contradictions that life proves errant? Nancy, you quote so many scriptures, and that is good except for the way you read things into scripture that simply is not there. You quote them continually out of context with the intent of proving your point, but scripture was not made to be used that way. It was made to be read and understood for what it was saying–not for the purpose of proving that you are right and your opponent is wrong. What would you think if someone said, “Gen 1:1, said ‘in the beginning God created…’, therefore all elephants are pink and fly upside down in flying saucers”? Wouldn’t you call it stupid and insane on many levels? First, the facts are wrong. We’ve seen gray elephants so they could not all be pink. And they most certainly don’t fly upside down in flying saucers. That’s just plain crazy. Second, the conclusion does not follow from the scripture that is being presented as a premise for the thing to be proved. The Bible says all have sinned. You conclude therefore that everyone was hardwired to sin and cannot help but sin. You might as well have concluded pink elephants fly upside down in flying saucers. There is no truth in what you said and what you propose does not follow from the scripture you quote. But if screwing up the interpretation of one scripture won’t suffice, you’ll screw up the interpretation of a hundred scriptures so that in your mind you will have proved your case a hundred times more validly. 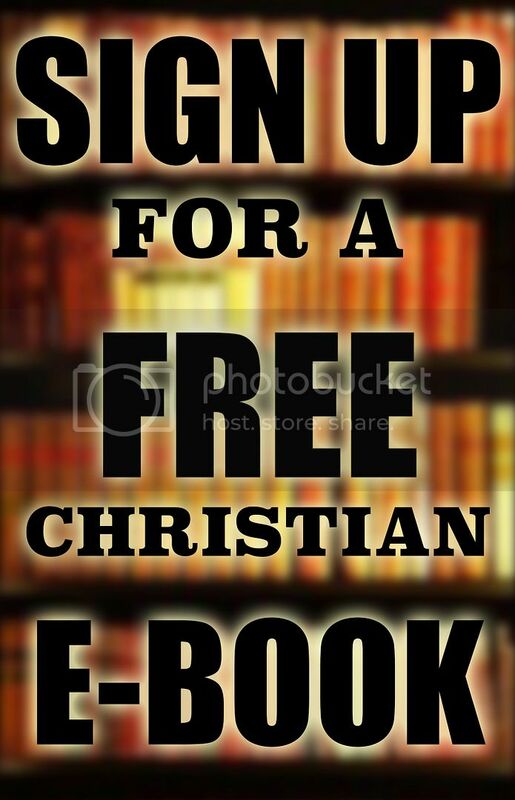 It is nonsense, it is poor theology, it is bad hermaneutics and bad logic to pound the pulpit and thump the Bible on the twisted notion that one can incur guilt without doing so of free choice. Would you feel right about the government punishing you for the crimes of Charles Manson or Hitler? Imagine you were the daughter of one of them. Would that make you more guilty than were you unrelated? Charles Manson brought murder, death, and destruction into the world. Does that mean Hitler didn’t? Adam brought sin into the world. Does that mean Eve didn’t? Or that you didn’t? Or that I didn’t? Was Eve hardwired to eat from the tree of the knowledge of good and evil? Or was she persuaded? What about Adam? Forced or persuaded? Can you smoke or get drunk or take drugs or commit fornication if you want to? Can you not do so if you so choose? Must you commit adultery simply because of Adam’s sin? Can you name for me just one sin that you absolutely must commit, that you cannot help but commit because Adam and Eve sinned? Just one? Fornication? Lying? Stealing? Dishonoring your parents? Coveting? Lust? Murder? Idolatry? Neglect of prayer? Is there one sin you can name that you are totally incapable of avoiding? For how long? One second? One minute? One hour? If you can avoid it for one hour, would that disable you from avoiding it for one hour again? Two hours? Four hours? Eight? Sixteen? How much purity would you have to commit before it would destroy your ability to avoid that particular sin? Does purity make you sin? Does faithfulness cause you to sin more? Or can you go a full day, or a second day, or a week or month? If you can do a month, how about two? six? A year? Two years? Would succeeding in avoiding that sin for two years render it more difficult to avoid the next two years? Or one? So, if you reach three, can you do that, say, three times, too? Nine years? Or is it that avoiding one sin will force you to commit a different sin? Is faithfulness a degenerative disease? Nancy, I am convinced that the Word of God is telling us to repent from sin–not excuse it or pretend it is something we are hardwired to do. And I believe if God tells us to do something, then He is no fool telling us to do something we cannot do. He is not the mental case who throws his dog into the fire for failing to recite Chaucer on command. He is a reasonable and just God who only requires what ability He has allowed us to have. That does not mean we can avoid sin without God’s grace. But, if God’s grace is truly sufficient as He says it is, then it must be sufficient to give us the ability to avoid sin. Again, can you smoke? Can you avoid smoking? Can you commit adultery or fornication? Can you choose to avoid doing so? When you see a child molester saying, “I sin this way because I am a child of Adam”,. doesn’t that insult you deeply knowing you, too, are a child of Adam? Don’t you have the right to strip that molester of his excuses and make it clear to him you are not convinced of his inability to stay away from molesting children? When you see a racist who torches a black man and drags him behind his car to his death, do you accept his excuse that he is a child of Eve or perhaps of Cain and cannot help doing what he does? If he cannot help it, then why can you help doing what he did? What sin can you identify that you committed that was not done by choice? What sin can you identify that you are unable to stop doing? This is from my upcoming book on the atonement. I have a chapter on Moral Government and deal with free will and the Pelagian controversy. “Considering the Pelagian statement of faith that Pope Zosimus declared orthodox, it is evident that the doctrine of the “transmission of sin” was not yet held by the church as the statement of faith straightly denied it. And Pelagius’ view on the freedom of the will was declared orthodox and in accordance with the doctrine of the church by the council at Diospolis when Pelagius was present to defended himself against accusations. “PELAGIUS. And this I said concerning freewill, which God aids when choosing good. But when man sins, he is himself in fault, as of freewill. And so we see that it was no heresy to the church initially for Pelagius and the Pelagians to deny the transmission of sin and to affirm the freedom of man’s will. The theology of Calvinism actually doesn’t come from John Calvin, but from Augustine. Though Augustine did not teach double predestination and limited atonement. Those heresies came from Lucidus and Gottschalk. Lucidus and Gottschalk took Augustine’s principles to their logical conclusions. Gottschalk was a french men and I think Lucidus may have been too, so it is likely that the french man John Calvin read of the teachings of Gottschalk and adopted his heresies. Lucidus was condemned by the Council of Oral in 473, Council of Arles in 475, and Council of Orange in 529. And Gottschalk (Gotteschalcus) was condemned by the Council at Mentz in 848 and the Council of Chiersey (Quiercy) in 849. 11 Don’t blame the Lord for your sin; the Lord does not cause what he hates. [a] 12 Don’t claim that he has misled you; he doesn’t need the help of sinners to accomplish his purposes. 13 The Lord hates evil in all its forms, and those who fear the Lord find nothing attractive in evil. 14 When, in the beginning, the Lord created human beings, he left them free to do as they wished. 15 If you want to, you can keep the Lord’s commands. You can decide whether you will be loyal to him or not. 16 He has placed fire and water before you; reach out and take whichever you want. 17 You have a choice between life and death; you will get whichever you choose. 18 The Lord’s wisdom and power are great and he sees everything. 19 He is aware of everything a person does, and he takes care of those who fear him. 20 He has never commanded anyone to be wicked or given anyone permission to sin.